Do you make jewelry? Are you looking for stones for cutting? Do you just plain want lots of gorgeous gems? This astounding hand selected box is bursting with over 12,000 carats of the gems most sought after for jewelry—Amethyst, Citrine, Garnets, Rubies, Sapphires, and Emeralds. The colors are superb and there are many large stones, including rough sapphires and rubies of up to 100 carats each. This is our finest box. 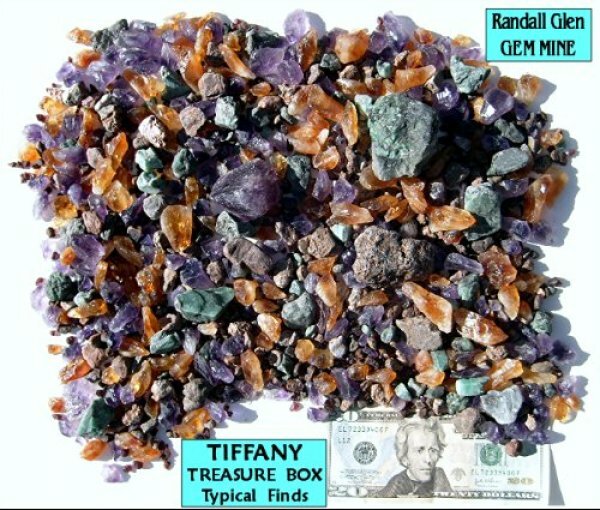 Your box includes Gem Dirt from our mountain, including stones large enough to cut for jewelry, a Gem Identification Card, and full Instructions on mining your gems. Call us at 828-683-5758 to order. ← A half-carat emerald from Randall Glen!